Most people learn by doing. However, sometimes it’s necessary to take a class or two to “polish” your skills. Whether you are a novice or seasoned travel writer, you can always use a refresher course. Check out our list of top 10 writing courses! How To Become a Travel Writer – Our Number One pick! NomadicMatt (one of the ‘superstars’ of travel blogging) has partnered with award-winning travel writer David Farley (author of An Irreverent Curiosity and a writing professor at Columbia and New York University) to create a superior online travel writing course “How To Become a Travel Writer“. David is considered one of the top travel writers in the country, he’s hosted a National Geographic Channel show, and his work has appeared in countless publications. Through video lectures, interviews with successful travel writers and editors, detailed examples of edited stories, and writing assignments, you’ll get the course David teaches at NYU and Columbia – plus added information about online writing – at your fingertips whenever you want. 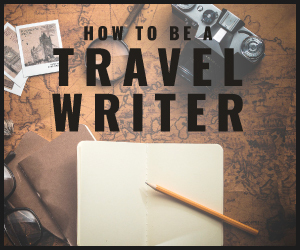 You’ll learn the nuts and bolts of travel writing and its industry but you’ll also be clued in to every aspect of the travel writer’s life — from how to find a good story to pre-trip research to writing up a pitch for a story — all of the things David and Matt learned the hard way through trial and error. 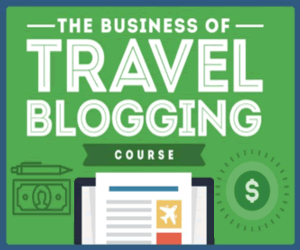 From crafting a story to becoming a better writer, self-editing, and making a career as a travel writer, THIS course covers it all. Travel Writing and Marketing Master Class – An Editors Top Choice! Taught by acclaimed writer Roy Stevenson, the Travel Writing & Marketing Master Class is an exclusive program where you’ll explore, in detail, every single step of Roy’s travel writing, pitching and selling strategy. Other workshops gloss over the details, but that’s not how Roy does things….. you will walk away from his program knowing exactly how to get sensational paid trips around the world and sky-rocket your travel writing success – even if you’re starting at $0. Each workshop is limited to a small number of participants to guarantee a high quality experience and allow plenty of time for interaction between your instructors and fellow writers. Travel Writing Overdrive – An Editors Top Choice! A course unlike any other from professional (and highly successful) writer and author Tim Leffel, this online self-study course is NOT a writing course, but rather is designed to teach writers how to increase their income from writing, how to find (and take advantage of) the ‘low-hanging fruit’ in the world of publishing, and how to develop multiple revenue streams. There is also a “Mastermind” level course (HIGHLY recommended for those that have some travel writing/blogging experience already and want to take their earnings to the next level!) that incorporates hands-on mentoring by Mr. Leffel, group conference calls, and a private Facebook Group. Using the links on this site will get you a 10% discount on either course. The Writers Workshop. In addition to a variety of online writing classes in several different genres (including travel) that will teach you to compose compelling, engaging travel narratives, The Writers Workshop also periodically holds in-person workshops, such as an upcoming (June 2-8, 2019) class in Provence, France, during which students will also enjoy out-of-the-classroom experiences that include visits to local restaurants, wineries, and historic sites, along with “behind-the-scenes tours unavailable to the general public”. Additionally, your instructor Nick O’Connell, promises participants that he will “personally edit and recommend your stories to a well-known food and beverage magazine for likely publication.” This is a great opportunity that we strongly encourage writers to take advantage of! American Writers and Artists, Inc. Offers course work from travel writing to desktop marketing, to help improve your skills as a writer. If you are a novice travel writer AWAI can help you sharpen your skills and move you forward to a great career! Gotham Writers’ Workshop. Teaches more than 6,000 students a year! Gotham is the leading creative writing school in NY and the USA. Not a resident of NY, no problem. Visit Gotham’s online (voted Best of the Web by Forbes Magazine) and sign up for a course in travel writing. Classes begin the week of May 19. You better hurry because class size is limited to 18 students! Writers.com. They have been offering online classes since 1995. Courses range from basic skills to advanced-level work. Writers.com can help you improve your skills and explore new directions! Writer’s Village University. Believes education is a life-long pursuit for beginning and experienced writers. Writer’s Village University is a full-time support service that offers courses, seminars, and special programs. Penn Foster Career School. Although this online course does not cover travel writing, it offers education in basic freelance writing skills that are valuable for any genre of professional writing. Washington State University. Do you love to write? Are you entering a writing field or simply want to improve your skills? WSU’s online professional writing certificate will give you a strong foundation in written communication skills. Please note that this course has several prerequisites. If you visit this site AZwriting.com right now you will find professional writing tips and essay samples from academic experts.